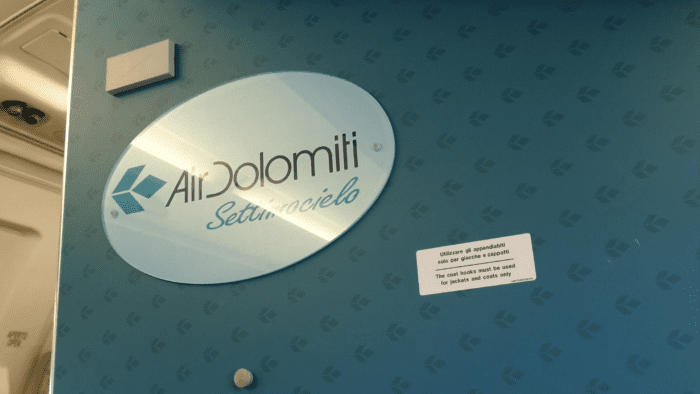 FAA Says Boeing 737 MAX Is "Operationally Suitable"
Air Dolomiti are a strange airline. 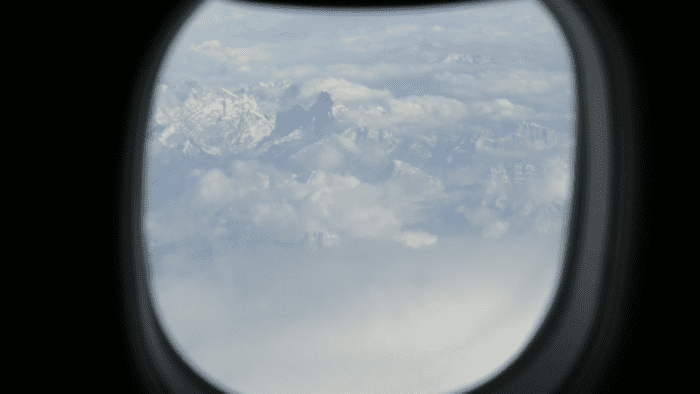 Italian-headquartered in Verona, but with a base in Munich, the airline is named for the subsection of the Alps known as the Dolomites in English – “Dolomiti” in Italian. The airline operates some flights on its own basis and some on behalf of Lufthansa, its parent company. 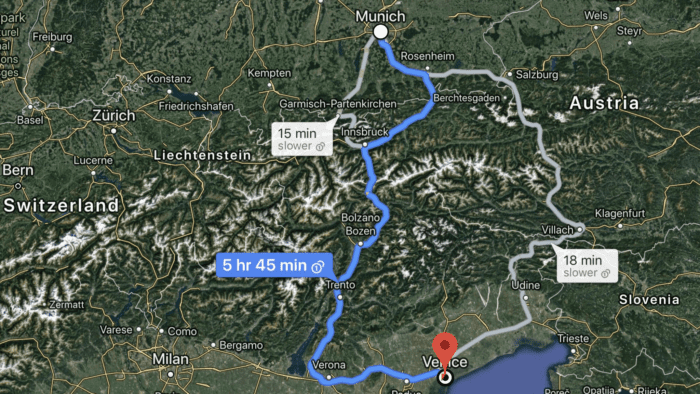 To add to the confusion, the Munich-Venice flight featured in this report is one the airline operates “as itself” but I was ticketed through a multi-city itinerary on Lufthansa with a LH flight code. 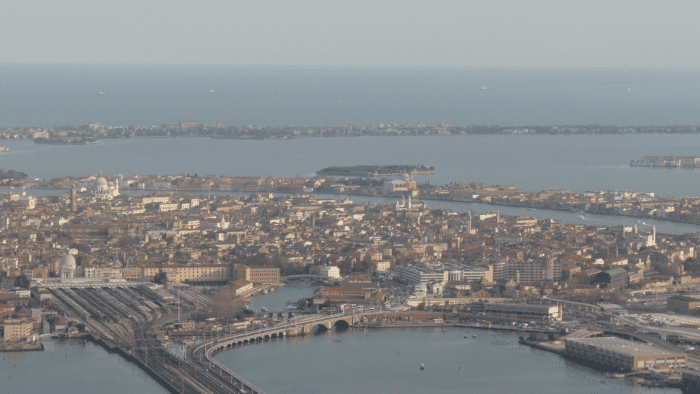 As always, I was taking this trip mainly to film the experience for my YouTube channel, although it’s always handy to end up in Venice, one of the world’s most distinctive cities. 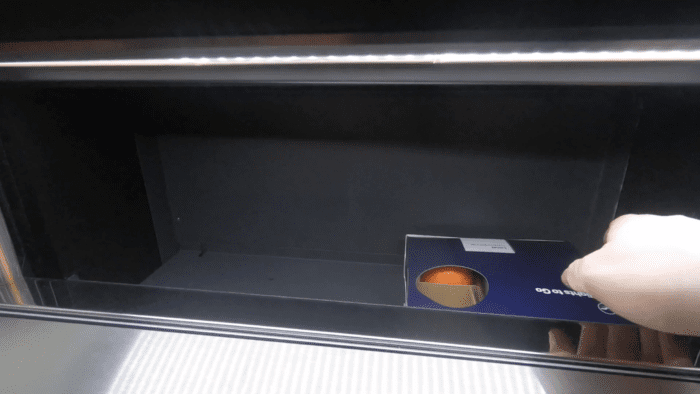 Having arrived on a Lufthansa flight from Amsterdam, I had the opportunity to experience one of Lufthansa’s newer innovations. 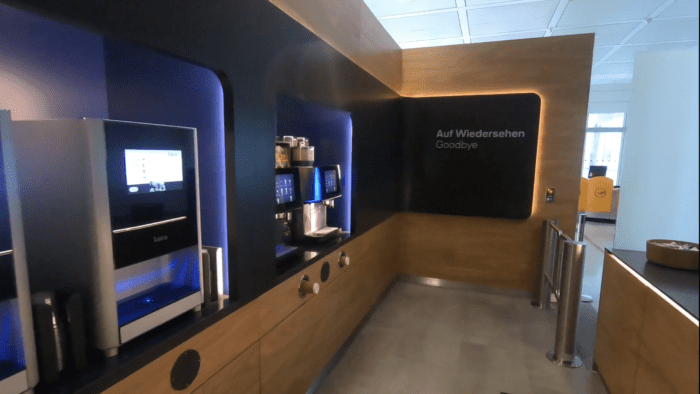 A new Delights to Go stand is at the G gates in Munich, which is essentially a self-service cafe. 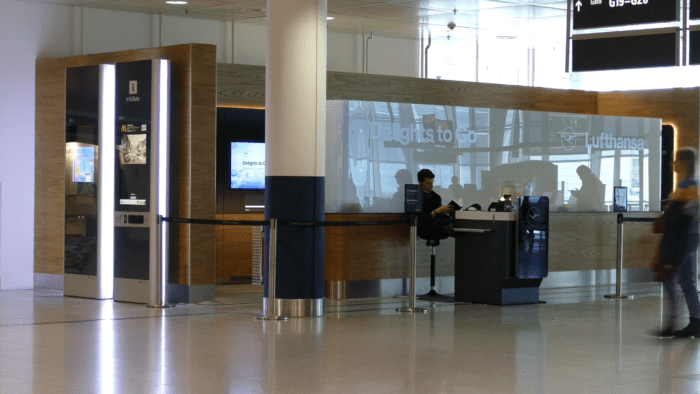 Show your qualifying boarding pass (the criteria are the same as they are to enter the Business lounge), and you gain entry to a curious facility. Everything is self service, from the coffee to the food dispenser to bagging your food up. 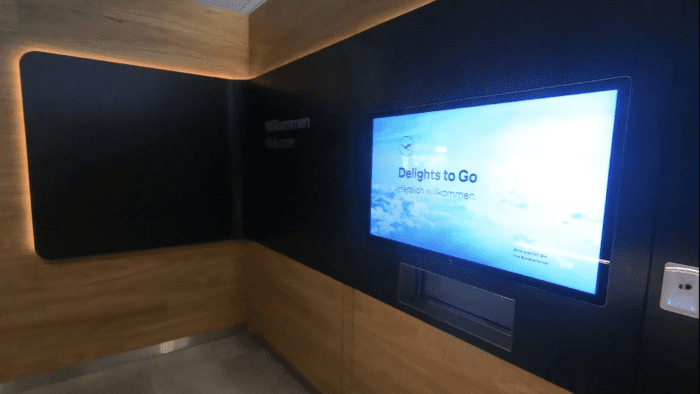 A giant touch-screen vending machine dispenses your choice of one of three neatly packed lunches. I like this concept. 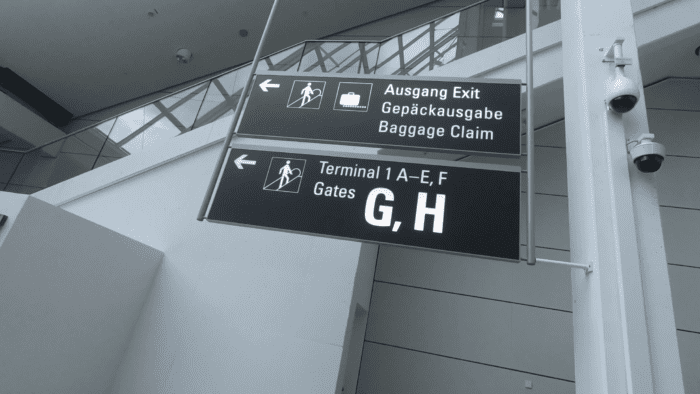 Munich can throw up some short connections and it’s sometimes not possible to get to a lounge, so I appreciate Lufthansa adding this facility. I’d definitely use it again. I had some work to do so stopped by the Senator Lounge, accessible through my status as a Star Alliance Gold card holder. Duty calls, so no bubbles for me today! 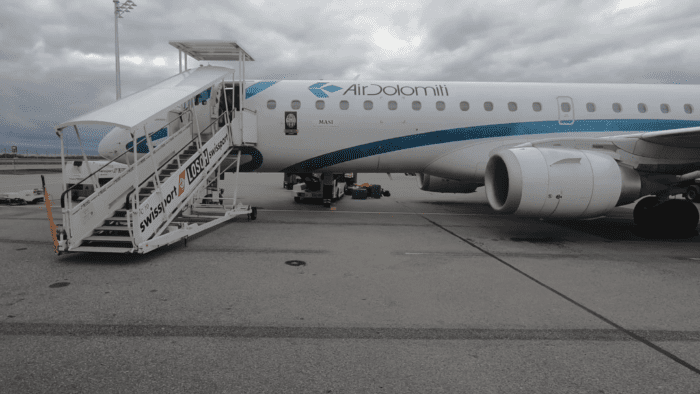 Air Dolomiti mostly use remote stands at Munich, so boarding is by bus and stairs. Our aircraft was parked over the other side of the airfield, and we arrived after a few minutes’ drive. I quite like Air Dolomiti’s new livery, which our aircraft was sporting. The aircraft, an Embraer 195, was in a standard 2-2 configuration. Business class was just two rows and features blocked adjacent seats for extra space – standard Eurobusiness. 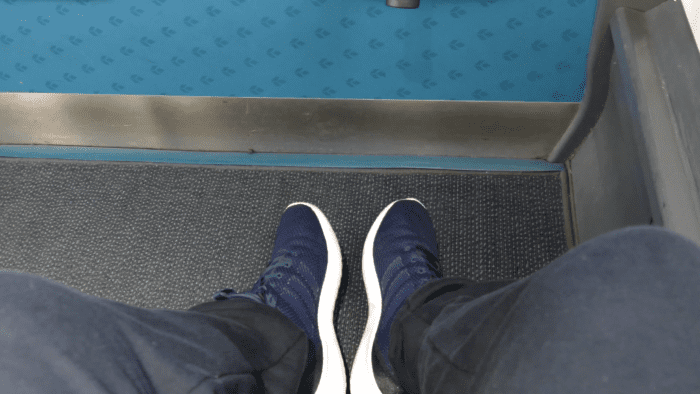 Legroom in Row 1 is pretty good on these aircraft, although the bulkhead is a little further away on the D side, allowing a few extra inches of toe room. Interestingly, the airline brands business class internally, somewhat aspirationally, as “Settimocielo” – seventh heaven! 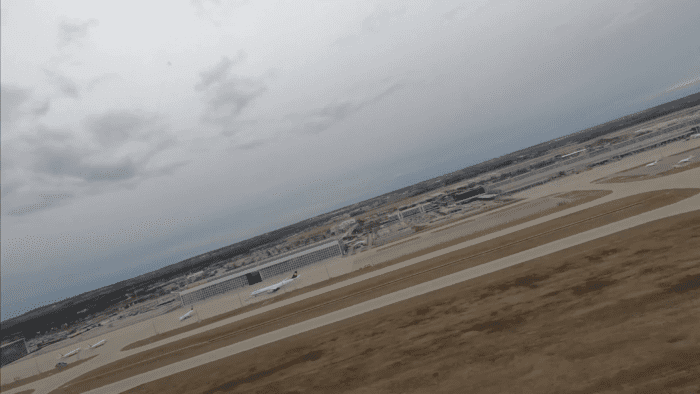 Takeoff was brisk following a short taxi, and we were soon airborne. This route is less than 200 miles, but the 30 minute flight avoids a taxing five hours plus by road through the mountains. 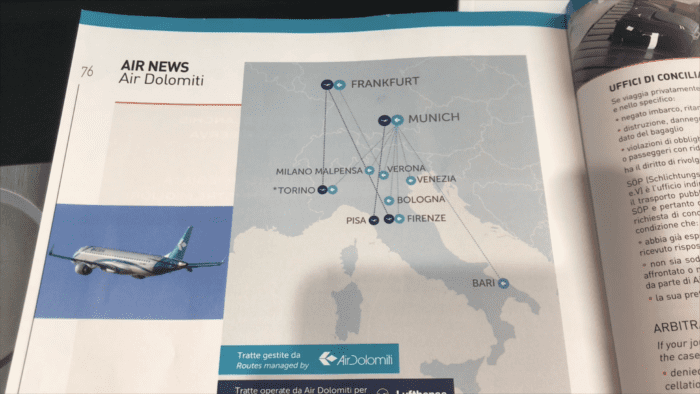 Air Dolomiti have a number of routes which principally serve to avoid long road or rail journeys made slower by the Alps (or Dolomites I guess!). The airline also supplies WiFi, a real positive surprise for a business which operates only very short flights! 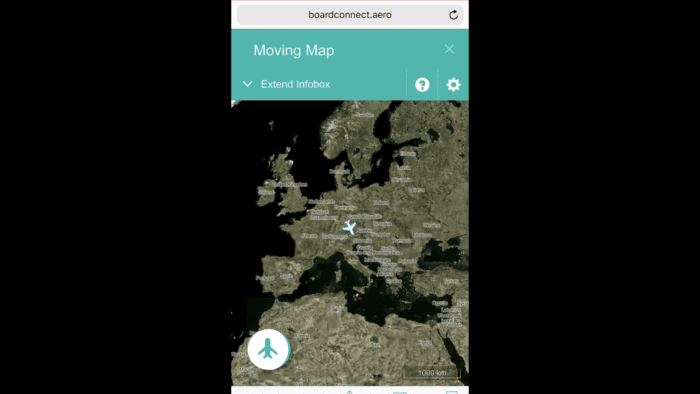 It was free and worked well, and included a flight map. Food was also served, and as this flight is 30 minutes or thereabouts, it’s an express service. 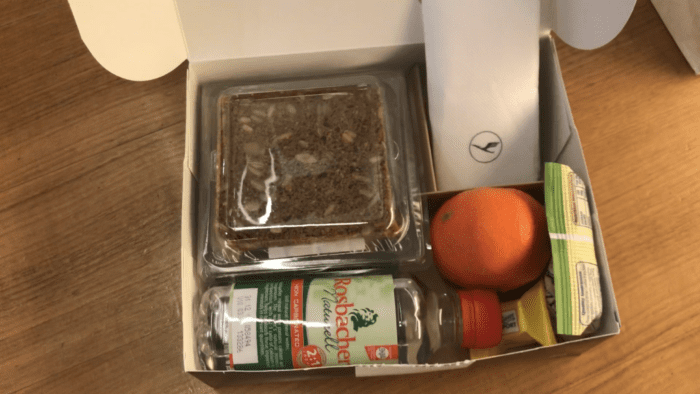 Something interesting about the catering is that no savoury items were included – the airline probably assumes you’ll eat properly on the ground and merely wants to provide a “gesture” of catering that won’t fill you up onboard. This seems sensible. The sweet options were a fruit cake and chocolate mousse, which were both good, and this was followed by a small coffee. The coffee was possibly the best I’ve ever had on an aircraft. 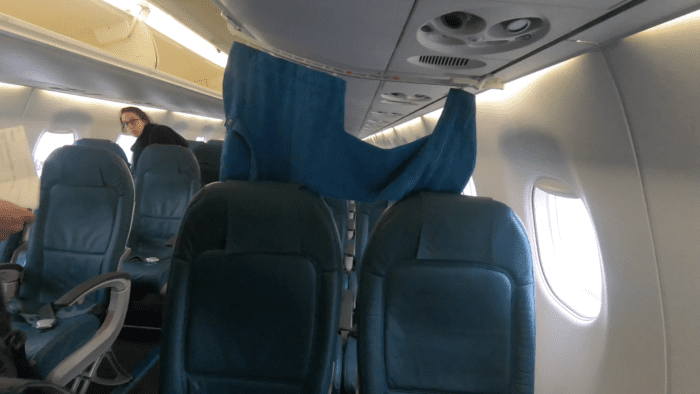 Service was quick – I was the only passenger in Business Class. Overall, a good experience on another of Europe’s more niche carriers. 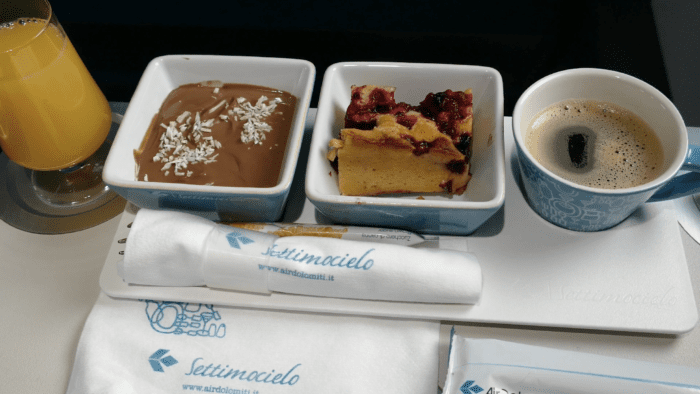 Air Dolomiti exceeded expectations with warm service, WiFi and great coffee – everything you need on a short mountain-hopper flight. 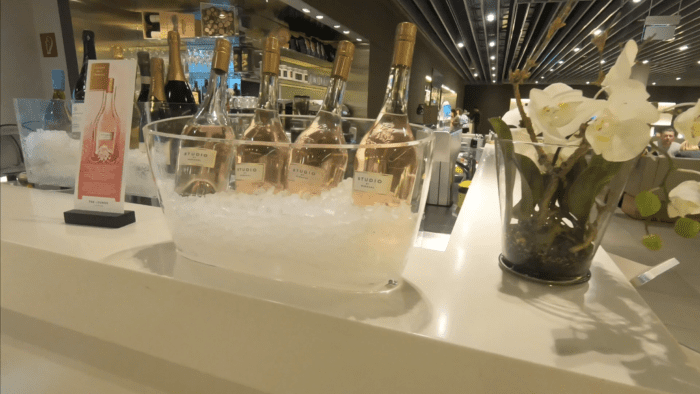 On flights sold by the airline, business comes at an approximately 50 Euro premium over economy, one way. I don’t think I could justify that expense to you on such a short flight, but I would certainly be more than happy to see them operating a flight of mine again, should they appear on a much longer multi-city journey in Business.